Later I will link to extensive reviews from this article that will include actionable guidance on how to use each tool. My wife found this tool when she was looking for something to help her with Facebook parties and post scheduling. A team member of hers recommended CinchShare and she has been using it ever since. If you haven’t heard of CinchShare, it is basically a program to automate and post your content on Facebook. It is a fast and easy way to set content for VIP customer pages and team pages for a month in one setting! CinchShare for scheduling and automating posts to Facebook, Pinterest and Twitter. Why do we like CinchShare so much? It allows her to focus on her guest’s questions and on selling the benefits of her products instead of copying and pasting content while trying to keep everything straight. After a little time learning the features CinchShare is very easy to use and get a ton of value from. This is by far my favorite feature when hosting Facebook events. Without this it is much more time consuming to host multiple parties at the same time. You schedule your entire Facebook party then edit and customize for each new party, changing out the host’s name and party link as well as any other specific content changes due to a host’s request. This one is an add-on to the above feature. With this new feature released by CinchShare you can now quickly and easily change out you host’s names and the custom order link for their party without manually having to search through your content to find each mention of their name. Have you ever had a time when trying to schedule a call with a new customer or recruit where it felt like it took more time getting the call on the schedule than the actual call? This is what Calendly solves for you. Calendly is an amazing tool for scheduling calls and meetings. You send your link, they select a time that works for them and viola you now have your call scheduled. 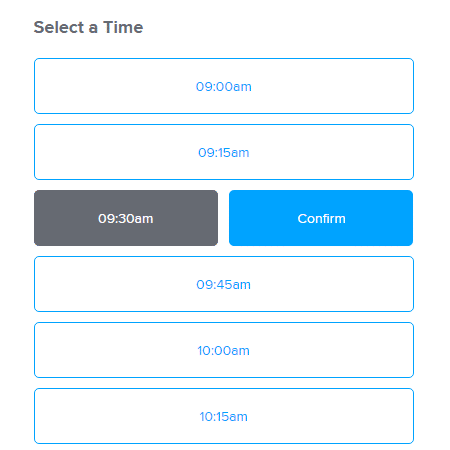 We, at Direct Sidekick, use Calendly when a new client signs up for our service to schedule an introductory call to show them exactly how to user our application. We do this to make sure our application is very easy for our new clients to use. Calendly is a must for direct sales consultants. It is very easy to use and there is a free option to get you started. The free account (or pro account) can be used to schedule calls with your new customers or your downline. No more voicemail tag or endless emails trying to find a time that works for both of you. Simply copy and paste the link and send your email and let your customers or team pick a time that works for them. Premium accounts can also have automated email reminders sent to your customers or recruits reminding them of your scheduled call. No more missed calls because someone forgot! Of course I will add a shameless plug for Direct Sidekick here as our tools was developed to help you save time. Direct Sidekick was developed after enduring the time gathering the income and expense information leading up to tax time for the past few years. Finally, it was “enough!” and it was time to build something simple and easy to keep track of everything in one place. Of course, we decided to share it with all direct sales consultants as it is quick and easy to use and inexpensively priced. We save so much time with our accounting using Direct Sidekick! I like having a snapshot of our business (dashboard) at any moment in time. I can track our business progress as the year goes on to see if we are on track to meet our financial goals. Knowing where you are spending your money on your business is very important as well. Are you getting the return on your expenses? Are you overspending anywhere? Anything you save is like adding income to your family! Generates IRS Schedule C tax reports. Before your annual tax appointment all you have to do is print the downloadable IRS Schedule C Income Statement and hand it to your accountant.